Owning a Mercedes car is considered to be a dream come-true, but did you know that this luxurious vehicle has several types to choose from? 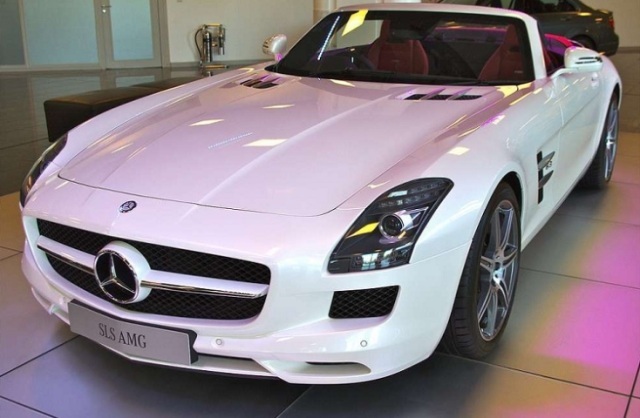 Find out the different kinds of Mercedes cars. One of the oldest automobile brands still running successfully, Mercedes Benz is a German company owned by Daimler AG. Right from the cutting-edge design to technical innovation, each Mercedes-Benz has been created with passion, quality and immaculate attention-to-detail. A glimpse of one of this stunningly beautiful masculine beast is all that you need to get that adrenaline rush to own one for yourself. Ever since the company was incepted in 1881, it has been inventing and re-inventing a new Mercedes, only to portray a premium product in every segment. While initially Mercedes manufactured cars only for the high-class and wealthy class, today the company has a model for every kind of customer. With the following lines, check out the different classes of Mercedes cars that it has to offer its customers to choose from. Take a look! Introduced in 1997, the A-Class model is a small three or five-door hatchback. Despite its small size, the car has been designed with several special features focusing on the safety of the passengers. This model has been equipped with a “Sandwich” feature, wherein the engine and transmission have been placed beneath the car, instead of the cab. This enables the driver to protect his precious engine in case of a head-on accident. A compact MPV (multi-purpose vehicle), the B-Class was launched in 2005 as a tinier version of the A-Class. Though the model has the same engine and suspension system as that of the A-Class, unlike any other Mercedes automobiles, it is a front wheel drive vehicle. Debuted in 1995, the C-Class was deemed as the “Baby Benz” as it was the smallest model from the marquee’s line, until it was surpassed by the A-Class in 1997. This compact executive car defines race, refinement, luxury, safety and performance, which is evident from its immense popularity till date. In fact, the C-Class is the most recognizable Mercedes car today. The 5-seat sedan is available in luxury and sports versions. The mid-size rear-wheel drive CLK-Class was introduced in 1996 as an ordinary man’s take on. Best known for its affordable price, the CLK-Class offers styling cues and engine similar to the luxurious sedan E-Class. Available either as a coupe or convertible, this model is often described as the “pocket” version of the sportier high-end SL-Class. E-Class is a top-line range offering posh executive cars. Blending style, technology, safety and luxury-driving perfectly, these ultra-luxury cars are meant only for the serious buyers. The car is available in sedan, coupe, convertible and estate wagon versions. Also known as G-Wagen, this luxury class exhibits superior craftsmanship and serious off-road capability to drive through the toughest hurdles smoothly and confidently. The G-Class is a four-wheel drive vehicle/ SUV, manufactured initially as a light military vehicle. This rugged off-roader utilizes three fully locking differentials, a unique feature found in only a few other vehicles, namely, Jeep Wrangler Rubicon, Toyota 80-series Land Cruiser, Pinzgauer High Mobility All-Terrain Vehicle, Dodge Power Wagon and Mercedes-Benz Unimog.